Former Libertine and Dirty Pretty Thing Caral Barat is back with a new band and is bringing them to Stockton’s Ku Bar for a night of ramshackle indie on Friday 14th November. 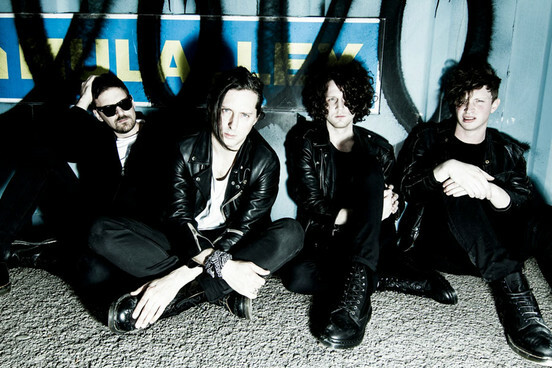 Barat formed the Jackals after being left with a mountain of new material following his reunion with The Libertines. What came about was a flurry of recording in LA with a handful of guest musicians (including Beastie Boys percussionist Alfredo Ortiz), eventually resulting in the Jackals’ debut album, due for release next year. Anyone heading down to Ku should expect an early insight into the new material, including a rendition of first single Glory Days. Fresh off the back of a handful of Libertines reunion gigs, though, it wouldn’t be surprising if Barat once again performed some of the early noughties nostalgia without notorious partner in crime Pete Doherty. Carl Barat and the Jackals play Stockton’s Ku Bar on Friday 14th November.